In the 1970’s Santana’s, off Main Street and next door to the Half Moon Bay Inn was a popular Mexican restaurant. On any night of the week you were sure to see friends there. Above: Long ago restaurant owner, Mr. Santana, gave me this colorful photo of himself. I’m happy to be able to use it now. 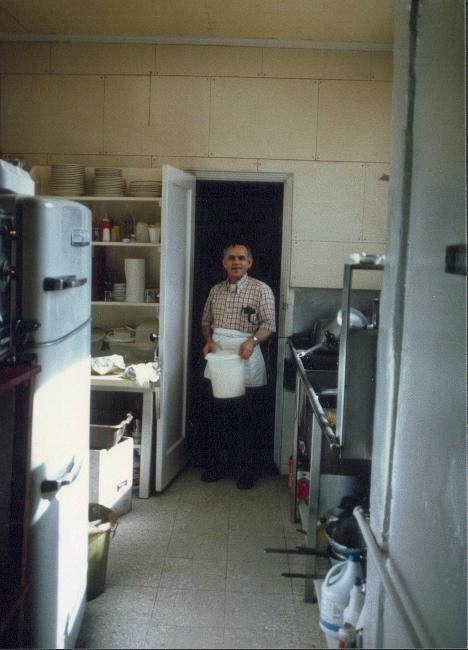 Below:Mr. Santana poses in the kitchen.